Dear Sister, 10 Things We MUST Do Together… Before We Grow Old! 1. For both our birthdays this year, let’s vacay in places we’ve always dreamt about! There’s no better excuse to kick ourselves to work hard and save through the rest of the year, is there? Plus there’s no one else I would like to be in my fairyland with other than the woman who dreamt of it along with me. 2. Cook a surprise dinner together for mom and dad! And let’s make it an elaborate business, complete with starters, main course and dessert. It may get a little messy, but it’ll be so much fun. Plus, can you imagine our parents’ delight? 3. Make our own fort/ dollhouse again, and for real this time. Do you remember how we used to make blanket forts or dollhouses as kids? Well, how about we make a real one that we could escape reality into? All we need is a hidden corner in our home, that we could decorate with a hammock, fairy lights and cushions. It’ll be amazing! 4. We should make some money together and let it pay for that dream closet! A closet that opens into shelves of clothes and racks of bags, shoes and little trinkets. Oh, that’s the dream! Let’s make some money together...maybe just sell cupcakes online, or hold a garage sale in the backyard, and let them pay for the dream closet from our wishlist. 5. Make a crazy Dubsmash series record! And do all classic Bollywood scenes. It’ll definitely be something to laugh at later in our lives. 6. Double-date some cute men! Before we get married and then meet for those regular dinner dates with our husbands, let’s just go on double dates and meet some interesting (or not so interesting!) men and just have a little fun. They’ll make for great stories, I promise. 7. Adopt a pet and bring it up together. A cat, dog or guinea pig - take your pick. I just want to bring it into our lives as a baby and take care of it together. Think about it - we would decide on a name, shop for food, toys...and just raise it the way we want to. It’ll be so much fun! 8. Audition for a TV show we’re both crazy about! Come on! We’re not gonna do it to win the show (although it’ll be really cool if we did), but to just prepare and participate and feel the excitement of being on reality TV. We could dance, sing, act, or take up some dare…you know there’s no dearth of talent within us, right? 9. Do a sisters’ night! We keep going to the bar with our besties... How refreshing would it be to hog those free drinks together instead, just you and me? 10. Live life boho style at some faraway festival! You know the kind where you ditch social media and all technology for days at end, and live the primal life in camps? Yup, there are so many of these happening all around us, from the one in the beautiful Kutch to the music festivals in Goa. We’ve got to plan this at least once!! GIFs: Tumblr HAVE A STORY IDEA FOR POPxo? If you want to hear about it, we can write about it! Just tell us your idea here! MUST READ: 8 FUN Things To Do With Your Sister Before She Gets Married! 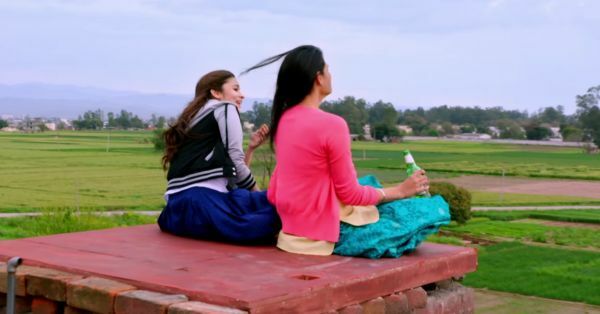 MUST READ: 17 Things You Can ONLY Learn From Your Younger Sister!